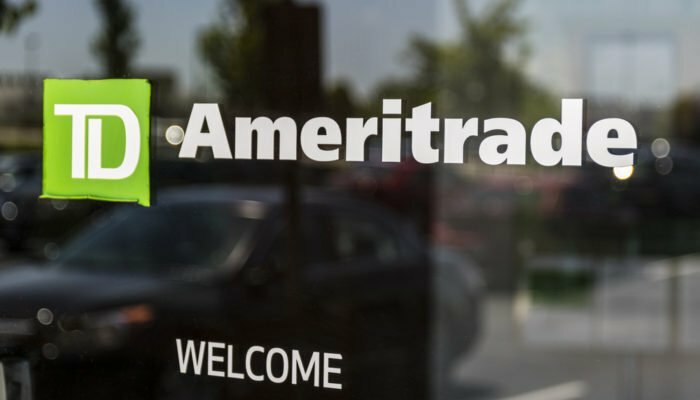 Earlier this week, on Wednesday, TD Ameritrade, an American brokerage firm with over $1.2 trillion worth of assets under management, announced that it had invested an undisclosed sum into ErisX, a crypto platform that has reportedly been in the works for months. According to the official announcement, ErisX, which has also been backed by DRW, Virtu Financial, and Cboe, is slated to become a fully-regulated, US-based derivative and investment vehicle exchange that will take a focus on digital assets. Eventually, if regulators give a green light, ErisX, which is headed by former Citigroup executive Thomas Chippas, intends to unveil spot trading and physically-delivered futures support for Bitcoin, Bitcoin Cash, Ethereum, and Litecoin. As per reports, the platform could be launched by Q2 of 2019, with ErisX initially supporting spot trading, before branching out to futures. Quirk, who is passionate about investor education, added that ErisX will be the perfect regulated way for common consumers to gain access to this nascent market. He added that the futures contracts on this platform will be readily available for TD Ameritrade’s vast clientele, and to top it off, will be offered at no extra cost in comparison to Cboe or CME’s well-established crypto asset contracts. In the middle of last week, insider reports unexpectedly surfaced which indicated that Coinbase, widely regarded as the crypto industry’s star player, was set to be valued at $8 billion in an upcoming funding round, consisting solely of a $500 million investment from Tiger Global. According to Recode, who first broke the story, this new $8 billion valuation is a five-fold increase in Coinbase’s 2017 publicly-reported value, which indicates that in spite of the bear market, some crypto startups are doing just fine. Although the deal hasn’t been formally inked as of yet, those familiar with the matter revealed that Tiger Global’s investment could see the New York-based investment fund buy out a smattering of Coinbase’s current shareholders, potentially indicating that Tiger is willing to pay quite the premium. Mike Novogratz, former institutional investor turned Wall Street’s leading crypto bull, explained that news verifies the sentiment that this budding industry is much more than the 21st century’s iteration of the “tulip-mania” of yesteryear. Even amidst this hefty influx of investment and the development of Coinbase’s New York location, the startup’s VP and general manager of its institutional branch, Adam White, unveiled plans to leave the startup that kicked off his career. So, it isn’t all gloom and doom for Coinbase, as the firm recently made a series of moves to poach forward-thinking employees from traditional firms. In an extended legacy market brain drain, talented individuals, like those formerly of LinkedIn, Amazing, Pershing Financial, have dove into the crypto industry head first, joining Coinbase in its mission to become a global crypto superpower. The San Francisco-based startup has also brought on Jonathan Kellner, former CEO of Instinet, to work as White’s replacement, with the well-respected individual now taking a role as the managing director of Coinbase Institutional. As was widely reported, Galaxy Digital CEO Mike Novogratz claimed that one of the world’s largest endowment funds had stepped foot into the cryptosphere, with the unnamed endowment making moves to invest in crypto-focused funds. At the time, however, Novogratz did not have the liberty to reveal which endowment he was privy too. But now, as revealed by CNBC, the fund that the CEO spoke is run by Yale University, which is home to the second largest endowment in higher education at a staggering $29.4 billion. According to insider sources, Yale’s endowment, run by the legendary David Swensen, has invested into Andreessen Horowitz’s a16z crypto fund, which raised $300 million earlier this year, and Paradigm, an up and coming crypto-focused venture that is backed by some of crypto’s best. Although Yale isn’t the institution that crypto advocates were waiting for, the arrival of such a prominent endowment, which is focusing on the long-term growth of its holdings, indicates that at the very least, crypto and blockchain technologies show a semblance of promise and potential, even amid a bearish market. Billionaire Ric Edelman Makes Foray Into Cryptosphere: Ric Edelman, the chairman of a financial services firm that shares his surname, has just made a formal entry into the crypto industry after months, if not years, of expressing his excitement for this asset class. Edelman now joins San Francisco-based Bitwise Asset Management, a digital asset provider, as an investor and strategic advisor. Speaking with CNBC Fast Money, the investor explained that due to the countless number of investments flooding into the space, it only makes sense that Bitcoin and its altcoin brethren are here to stay. Goldman Sachs-backed Circle To Acquire SeedInvest: Boston-based Circle is making moves to acquire SeedInvest, a well-known name in the crowdfunding scene, for an undisclosed sum. For those who are unaware, SeedInvest is an SEC and FINRA registered broker-dealer, which is a title that many crypto startups would love to get their hands on. Seeing that Circle is now inking the acquisition deal, many believe that the Goldman Sachs-backed startup is looking to list tokens that are deemed securities by regulators. Soulja Boy Introduces “Bitcoin” Track: Just weeks after a collaborative track that featured Eminem and Royce Da 5’9′ referenced Bitcoin, cult-followed Soulja Boy dropped an entire track that was entitled “Bitcoin.” Throughout the short, non-memorable piece, Soulja, instead of dissing crypto, expressed its culture, making reference to the lambo, 24/7 nature of these markets. He even mentioned Square’s Cash App, which indicates that he’s done some research at the very least. Although this song isn’t indicative evidence that Soulja, born DeAndre, is actively involved in crypto, it sure shows that he has some idea what Bitcoin is.